It may not be high-tech in the traditional sense, but it certainly is creative. Bohemian Guitars, makers of unique oil-can-based stringed instruments, has just launched a crowdfunded campaign to produce a second wave of its line of signature axes. Series 1, a successful launch several years ago, took place on Kickstarter, featuring only guitars. 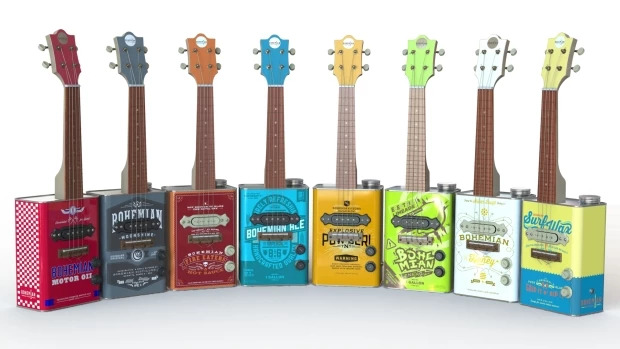 Series 2 on Indiegogo, features an updated guitar and launches the ukulele and bass starting with seven designs, as well as the option to create your own custom look. 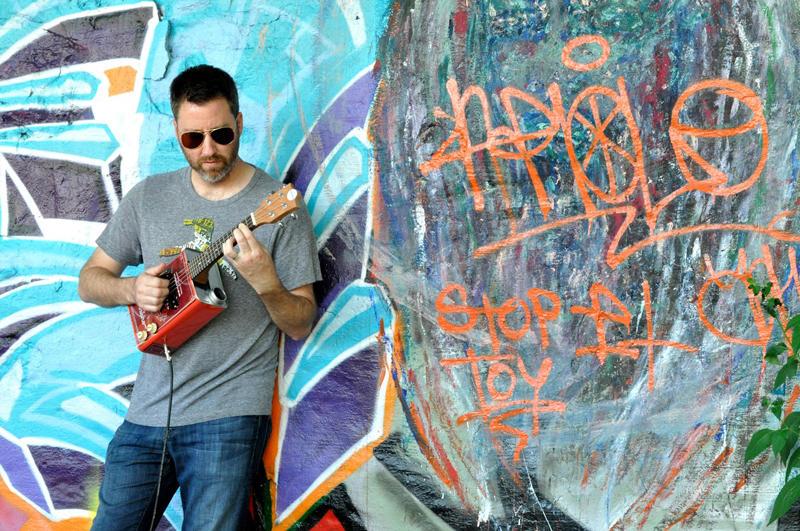 The inspiration for the guitars’ design came from South Africa, as brothers Shaun and Adam Lee watched poverty-stricken Township residents fashion instruments from the only materials available to them. Today, Bohemian Guitars manufactures them from recycled materials. That’s partly the point, but not entirely. But can these instruments acoustically and physically stand up to the rigorous standards of concerts, performances and recordings? Says Lee, “Absolutely. We are now working with a manufacturer that is working with other notable brands in the business. “We already have celebrities using the guitar in concert, namely G. Love and Hozier. Meghan Trainor just got her Boho Honey Uke.” Billy Gibbons of ZZ Top and Kongos are also fans. 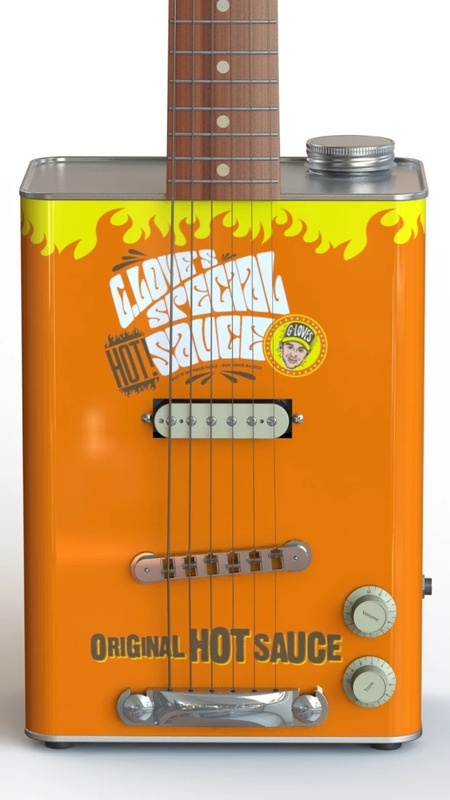 Not only are there three new designs — Bohemian Ale, Electric Limeade and Hot Sauce — but there are also select limited edition guitars, including G. Love and Special Sauce and a small number of Build your Own instruments that lets backers create their own designs. 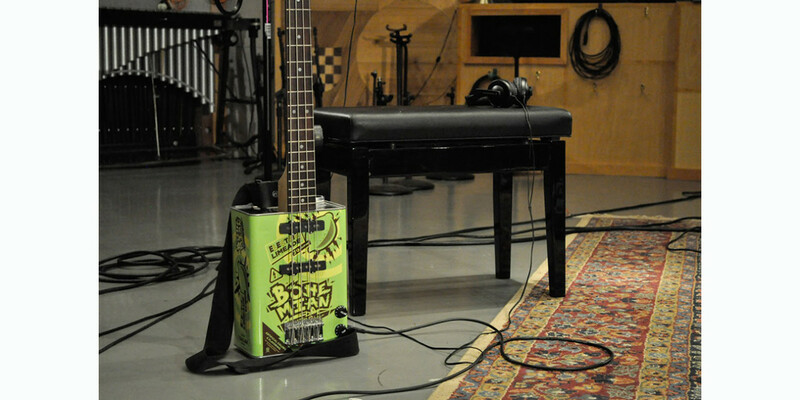 All series’ instruments are available for pre-order now, and will ship to backers by Christmas. Early bird sales start at $89 for the Uke ($100), $199 for the guitar ($299) and $350 for the Bass ($450). Backers have been — shall we say — more than enthusiastic. Only six days after launch, the project is 162 percent funded — over $60,000 of a $37,000 goal at this writing. Why switch from Kickstarter? “We used Indiegogo this time, to try a different audience. We went back and forth on that and wanted to see the difference in the platform,” Lee said. Keeping with the sustainable nature of the project, the company has also teamed up with Trees for the Future to plant one tree for every purchase. Most of the wood used to build the neck of the guitars comes from sustainable forests.